Should I Buy A New Or Demonstrator Car? If you’re looking to buy a new car from a dealership you’ll often have the choice of a brand-new vehicle or a demonstrator model – but which one should you go for? This important choice really depends on what your priorities are when it comes to your new car. In this article, we explain exactly what a demonstrator vehicle is, as well as compare the pros and cons of buying a brand-new versus a demo Mazda. A demonstrator vehicle or ‘demo’ is a new car that has some kilometres already on the clock and has only ever been registered to the dealer that has it for sale. This usually means a current-year model but can sometimes be a previous year plated vehicle. 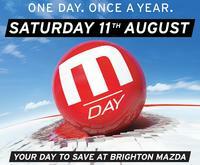 Like most dealerships, at Brighton Mazda we use our demo Mazda’s for test drives or as staff-driven vehicles. Demos are available to buy at any stage, from 10km on the odometer, up to several thousand. What are the advantages of buying a Demo? Buying a near-new demo car can be a great option for a lot of buyers, particularly younger or first-time buyers. Because demonstrator vehicles have been driven before, it means we are able to offer very competitive pricing compared to a brand-new vehicle. Older demos, like plate exit cars or vehicles with a higher number of kilometres on the clock, also have significant factory bonuses. This means you can often pick up demo thousands of dollars cheaper than its brand-new counterpart. If you’re on a budget this can be a great benefit to buying a demo. If you choose to buy a demonstrator vehicle then you are usually able to take immediate delivery of your new car. Depending on stock levels, a brand-new car might take a few weeks to arrive. So, if you’re in a hurry to drive away in your new car, a demo offers the quickest delivery time. In fact, sometimes we can do same-day delivery! What are the advantages of buying a Brand-New car? There’s nothing like buying a brand-new car, and for many people it’s the right choice for the stage they’re at in their life. If you’re after a specific model variant, colour and trim then buying a brand-new model is your best option, as demonstrator selections are limited to what’s available at the time. If you choose to buy new you’ll get to order your brand-new car in exactly the style you wish with no compromises. There’s something to be said for being the first person to ever drive your new car and enjoying that new car smell! 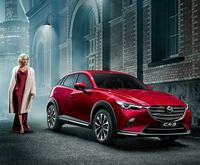 When you choose to buy a brand-new Mazda, you will be the first and main driver. Although demonstrators are not registered to an owner, they will have been driven by other people for test drives. 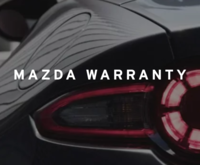 A new Mazda is fresh off the boat, or out of our warehouse with a big zero on the odometer. So, which one should I buy, new or demo? If you’re on a budget, need quick delivery and aren’t as concerned about what colour your new car is, consider buying a demonstrator if the model you’re looking for is in stock. If you’re absolutely set on the colour, trim and model variant you want and don’t mind waiting a week or two, then consider buying a brand-new car. As always, stock levels will play a large part in your decision so speak to the team at Brighton Mazda about what we have available. Brand-new cars are often available for immediate delivery and occasionally are similarly priced to a demonstrator. Always talk to the sales team to get the full picture before you make your decision.